Auto Glass of New England is a family-owned business. We take pride in our commitment to customer satisfaction and always provide top quality auto glass services for each and every customer. With over 20 years of experience in windshield repair and auto glass replacement, customers can expect outstanding services from our professional, courteous staff. In effort to provide the best customer service available in the auto glass industry, we offer an easy way to get a quote and schedule your windshield repair or replacement right online! Click here to get your free, no obligation auto glass quote. We accept all auto insurance policies and will work with individuals who do not have insurance coverage. We are on call 24/7 and provide service within 24 to 48 hours. 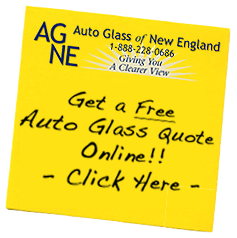 Let the experts at Auto Glass of New England handle all your auto glass needs!